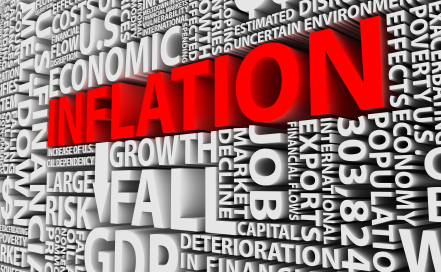 Will the Fed's aggressive expansionary measures lead to hyperinflation? The Federal Reserve has tripled the monetary base over the last four years and inflation remains below two percent. Despite the Fed’s money pumping, hyperinflation is not afoot. For an analysis of how allayed inflationary fears will lead to a more robust real estate recovery, see the upcoming October issue. Since trends in real estate prices and sales volume are in fact lagging indicators of the greater economy’s vitals, it is essential to look at leading indicators and economic drivers in order to prognosticate the real estate market’s expected growth or continued decline. Today, in the U.S. economy of fiat money, the prime economic driver is the Federal Reserve (the Fed), their control over interest rates and, by extension, the money supply. While the well-informed know the true measure of the economy’s recovery is increased employment, the panicked masses only hear one word whenever the Fed’s role in fixing the economy is mentioned — inflation. The Fed can take one of two positions when it comes to its monetary policy and management of the economy: expansionary or contractionary. To date, the economy still languishes in the Lesser Depression for lack of demand for new employees, reflected in part by the still deeply troubled real estate market. In order to put people back to work, the Fed has continuously taken expansionary measures, an effort to stimulate lending and private demand for new employees and equipment. They do this in fulfillment of the dual mandate held by all central bankers to create full employment and price stability; with inflation currently on target, near 2 percent, the latter half of their mandate is under control. However, with nationwide unemployment still at an economically debilitating 8 percent as of August 2012, the Fed’s duty to create an environment conducive to full employment has yet to come to fruition in this economic epoch. That, at last, is about to be changed by the Fed. Nothing is structurally wrong, as many have worried; there is simply a lack of private demand. In our capitalistic arrangement, this lack of demand triggers the government’s responsibility (Congress or the Fed) to correct by spending until full recovery is achieved. Nothing is structurally wrong, as many have worried; there is simply a lack of private demand. With the Fed’s recent announcement of QE3, Ben Bernanke and company have vowed to pump and pump until the economy is sufficiently stimulated into a period of real and positive growth when they can pull back and allow it to steam ahead — a defibrillating shock to the economy’s hibernating heart. The Fed has been loath to act due to political rhetoric and fear mongering, which has resulted in the public’s unfortunate and irrational fear of hyperinflation — that is, until now. QE3 will work, and it will do so without resulting in hyperinflation. We are here to tell you, dear readers, that just like the Boogie Man, hyperinflation is only under your bed as long as you firmly believe in it. We have written several articles explaining why quantitative easing and the rest of the Fed’s deployed expansionary arsenal will not lead to hyperinflation. There are a number of reasons why this is so — the broad stroke is that the Fed has as much control, if not more, over contracting the economy as it does expanding it (see lessons from Paul Volcker in the late ’70s/early ‘80s, which took place for entirely different inflationary reasons than today’s). 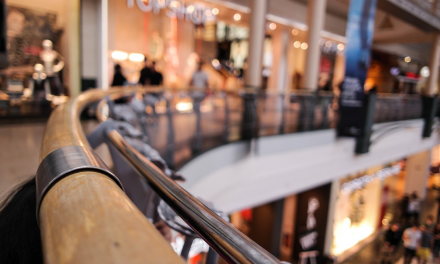 But lately one key piece of willfully disregarded information regarding the Fed’s ability to stem inflation has become more visible to the public. We can only speculate that this information has been kept close to the Fed’s vest for fear of public reproach ­— a politically motivated silence on their part for which there can be no excuse, as inaction has destroyed livelihoods and standards of living for many in all age groups and most occupations forever. But due to the inflationary fear mongers (inflation hawks, as they are known), the Fed has begun publishing economic letters explaining exactly why hyperinflation has not and cannot take root in the foreseeable future regardless of how much money they print since we are at zero-bounded interest rates. This is the liquidity trap from which interest rates can only rise, a completely opposite condition from 30 years ago and the intervening years of dropping rates which propped-up asset prices and created artificial demand after previous recessions. Mainly as a response to the recession of the early 2000s in the wake of the dot com crash, The Financial Services Regulatory Relief Act of 2006 was signed into law by President Bush. You read correctly, this was a major legislative maneuver of banking de-regulation instituted at the height of the real estate bubble and just as the financial crisis was brewing. Ironically, what seemed a boon for the banks in fact gave more regulatory power to the politically independent Fed. At the center of the act was a provision allowing the Fed to pay interest on required and excess bank reserves. Banks that borrow cash from the Fed (all the Big Banks that matter) must meet a mandated reserve requirement. If the Fed takes expansionary measures, such as they are today, as lenders amass huge stockpiles of cash, these excess reserves are deposited with the Fed along with their required reserves. Until 2006, the Fed paid no interest on these reserves, thus it was argued by the Big Banks that the mandate of a reserve requirement was tantamount to a tax imposed on the banks, that their reserve cash wilted on the Fed’s shelves, gnawed upon daily by the rat of inflation and romanced away by the math of opportunity cost. In 2006, the Fed was slated to begin paying interest on cash reserves by October 1, 2011. However, after the financial crisis of 2008, Congress acted swiftly with the Emergency Economic Stabilization Act and revised the effective date to October 1, 2008. Thus, the Fed has been paying banks interest on their reserves, required and excess, for nearly four years — an unprecedented shift in U.S. financial and monetary policy. In the history of U.S. monetary policy extending all the way up to 2008, the Fed had to battle the banks’ opportunity cost of keeping excess reserves on deposit. Before the Fed paid interest on reserves, lenders holding excess cash would quickly seek qualified borrowers to lend the cash to in order to charge interest and realize a return. at which point the Fed must intervene by increasing interest rates private banks charge to lend funds. QE3 is upon us; hyperinflation is not. This is the classic monetarist narrative of how inflation occurs. Of course, as the Fed has pointed out in its recent economic letter, it no longer holds. This monetarist model is now ancient history. QE3 is upon us; hyperinflation is not. Make no mistake — a modicum of inflation will occur above the Fed’s two percent target, as it needs to in order for demand to ramp up. Although interest rates will fall in the near future as a result of the Fed’s actions, the long-term effects will cause rates to rise — and rise they will over the next 10 to 15 years. That means a lengthy period of falling real estate prices. That’s right; as the economy gains steam, asset prices will fall. But this fall is only back to their historical mean price — where real estate ought to be for its long-term health. Is a rent abatement provision unreasonable when no money losses occur for the tenant? THIS IS A GOOD ARTICLE. IF YOU READ IT 3 TIMES FOR NON-ECONOMICS GRADS, THEN Bingo! IF YOUR AN ECONOMICS GRAD, CPA, FINANCE TECHIE, THEN 1X WILL BE ENOUGH TO SEE IT. AKA “moochers” as my Dad said. If your into Real Estate, it California values will be at the 2006 value by 2016-2018. It may double the 2006 value by 2020-2022. But after that, watch out…. the California 8-12 year cycle says it’s going to crash like 2007-2011 in 2021 to 2025(estimated)….. good luck ya all!!! Signed Tech/Analysis = Max. IRR guy…..
Over the past 4 years, our dollar has lost half its value. Printing money is by definition inflation…..inflation is here!!! I notice companies are tricking everyone under our noses. Some products cost relatively the same , however, you get less in package weight, less volume of products so we don’t notice increases. country at any other time and that is what you’ll find. There are no exceptions; just degrees of damage. They all thought that it wouldn’t happen to them too! To believe that true inflation is now below 2% is naive indeed. The lie was propagated a few years ago to hold the social security payment static, with no raise for seniors and no cost of living adjustment for the salaries of average Americans or government workers, though the executives received HUGE increases even during the worst years since 2008 and the banks made tens of billions. The goal of bloating the money supply is to shrink–in effect–the debt, on the backs of the American people, who will then suffer a massive blow to their buying power. Bernanke just promised to deliver $40 billion a month–INDEFINITELY!! !–to his buddies the greedy banking Cabal–that’s $480,000,000,000 a year into the future, with no end date in sight! These are the same parasites that defrauded the American people of over $26 trillion—yes with a “T”–so far. They will not stop until they get every last penny and the people are reduced to financial slavery. The article is based on fantasy, misinformation, and pro-Fed propaganda, and we cannot see how any sober minded person could accept its conclusions. This article needs work. Inflation measures have been manipulated by dropping important components of a family’s budget…gas and food. Printing money or more delicately Quantitative Easing has REAL implications. Every time the fed adds more paper the value of yours and my paper goes down…basic supply and demand. Until stability returns, and by this I mean a reliable gov’t who are positioned to support business, trillions sitting on the sidelines will stay there. The result is : no one is willing to expand business (hire folks) until we get a more reliable gov’t (read get rid of liberals). Maybe my MBA and 50 years of business experience should have been complemented with drugs as I too may see the picture with no hyperinflation. If you’re on the middle to lower income level brace yourself because the big whammy is coming in typhoon force sooner than later. Future inflation is inevitable with our trillion dollar debt! Don’t kid yourself! Right now, inflation is low, as long as you don’t count food, gasoline, medical, commodities and college tuition. Since QE1 and QE2 did not work, we have to try QE3? This one is “indefinite”, so that Bernanke does not have to announce QE4 through QE10. Dream on! This helps only Wall Street. The money multiplier is NOT dead! The author of this article does not know what he is talking about. Inflation is “low” because the things that are inflating (energy & food) are not included in their figures, how convenient. A simple explanation of what is going on with the banks & political parties can be found in the book The creature from Jekyll Island. It should be mandatory reading. Those who do not know history are domed to repeat it! The person who wrote this is writing propaganda for the Fed Reverse. The Federal Reserve is owned, operated by the private side of the banks. It is not and never has been a government entity for fair and balance policies. Please read “The Creature From Jekeyl Island…. The want complete control and they control the money supply and now have the nation in debt…… that has been the plan all along. Wake up Folks….the information I speak of can be found to those “who” chose to see the truth. And the Real Estate bumble was a hallucination for many years… I’m sorry, you can’t triple the money supply without inflation. It’s MATH. There is inflation, and were we calculating it the same as we used to it would be evident. Maybe we will bypass hyperinflation if we are lucky, but double digit- like the late 70s and early 80s is virtually assured. It’s not all a bad thing. it’s one way on minimized our crushing debt, but it is also a demon that will come home to roost. It will, of course, push more Americans into higher tax brackets as well. And it will burden lower income earners. It is an unseen tax, but in reality it is very much a tax hike on the poor, camouflaged for the sake of politics. Burying your head in the sand will not make it NOT happen. C’mon, you guys are usually pretty good, but this article needs to be rethought. Real estate prices can most certainly rise in a rising interest rate environment. See: 1970s through much of the 80’s. With rent currently significantly more expensive in many places vs. a mortgage, there is also room to absorb increases in mortgage prices (due to rising interest rates) as more people are wiling to consider buying a house again. Also free as an audible book for iPods. Go get it. I found it to be a fabulous talking point on listing appointments and a sell for buying. Not a finance book per se, but history you were never taught. I promise, if you read this book it will change your life out look for the better. I can’t see how anyone can be so clueless as to vote No. It is happening now.